Welcoming Brandie Gilliam, founder and creative director of Thoughtfully Magazine, to our #cleanbeautytribe. 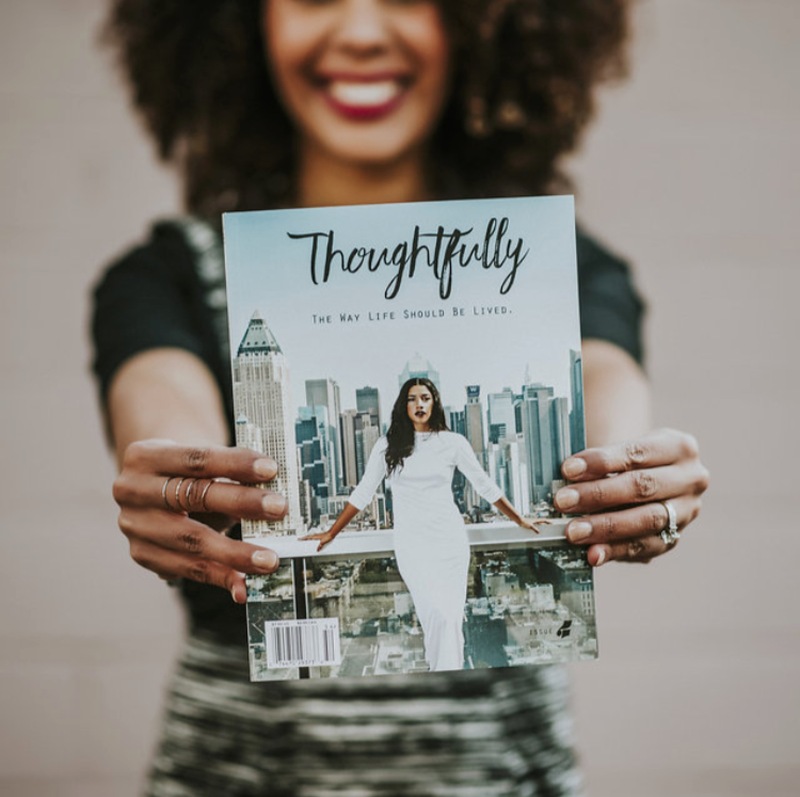 While so many magazines these days offer the same old diatribe of cliche relationship advice, fashion trends and celebrity gossip Thoughtfully delivers a refreshing perspective on thoughtful living. It’s all about quality over quantity and beautiful design with content that actually “feeds” you. Mainstream publications may be starting to hint about clean beauty, but Thoughtfully full embraces it and shows its readers that non-toxic, safe products can be both effective and the height of luxury. 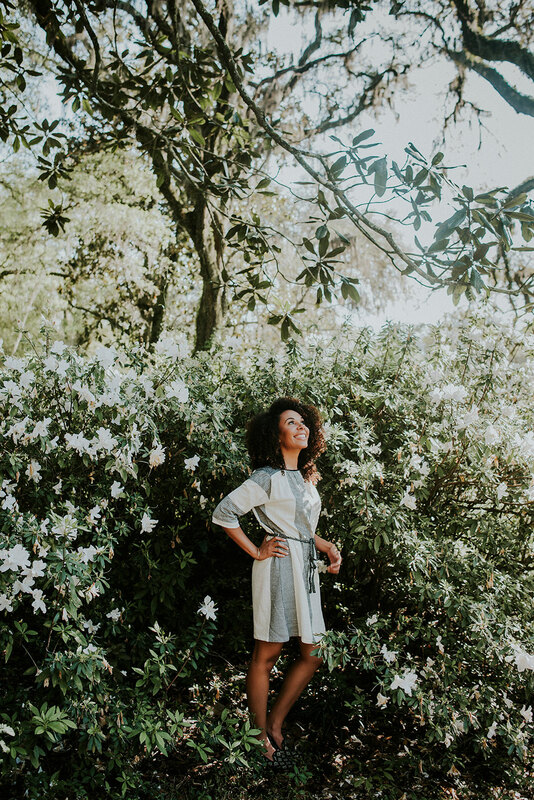 Brandie believes that what we put in our bodies is just as important as what we put on our bodies, and that we should give thought to how our actions impact the environment. 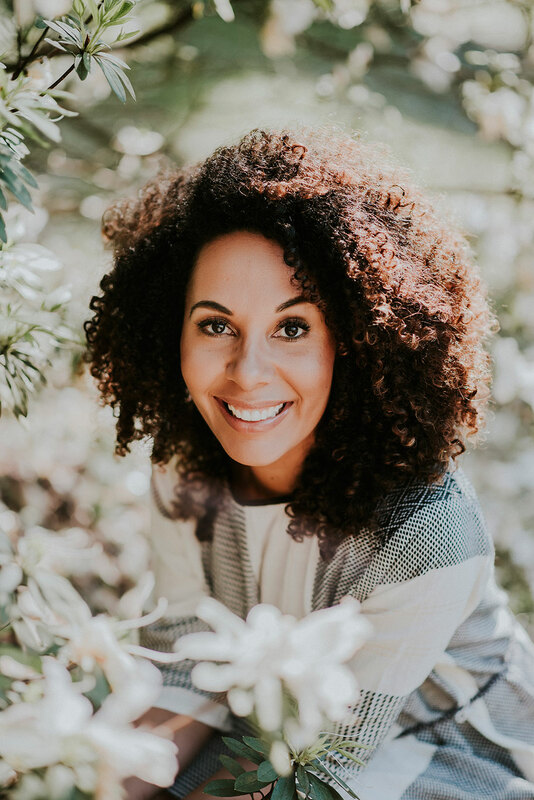 We sat down with Brandie to talk about her clean beauty faves, advice for entrepreneurs and what’s up next for Thoughfully. With a corporate career, successful blog and now a popular magazine under her belt this is a #girlboss to listen to. You first founded the popular blog Organic Beauty Talk before creating Thoughtfully Magazine. What inspired you to start the blog and then make the jump to a print magazine? Did it feel like a natural progression? I started Organic Beauty Talk in May 2011 as a solution to a frustration I was having at the time. 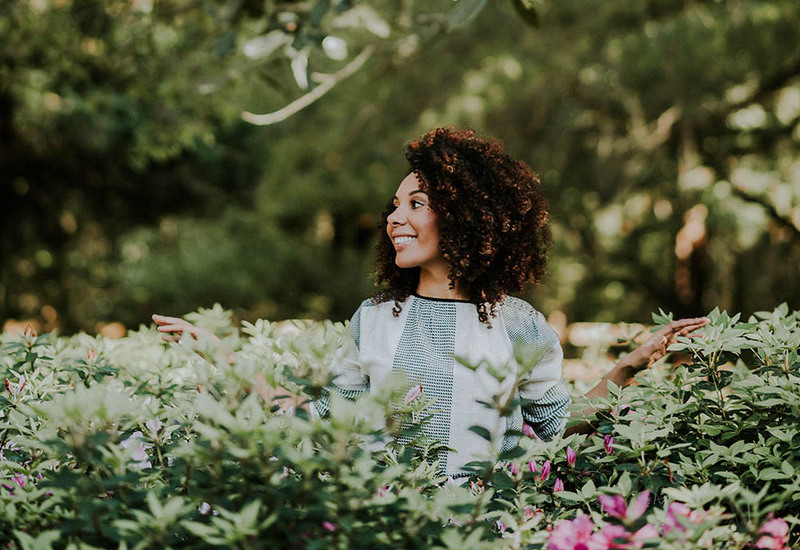 Many of the people around me would find out that I was into organic beauty and would ask me for recommendations (I began using and researching non-toxic products in 2001). I wanted to help but all of the emails were getting tiresome with having a demanding corporate career and my personal obligations at the time. I had an aha moment one day that I could easily throw up a website (I did it for a living every day) and have a central place for everyone to go. Problem solved! Fast-forward to fall 2014 when my husband had a career opportunity that moved our family to a small coastal town. Here I was for the first time in my life without full-time employment and zero opportunities around me for my line of work. I yearned to create and didn’t see a way without working for an organization. Those around me kept asking what was next and one day it hit. I would stop waiting for people to give me permission to create and I would just create without any expectation but to make some of what I needed and to be proud of my work. It was a natural progression for me to start a large project and execute it fairly quickly while managing all the resources because that is what I had been doing for years in the corporate environment. The only thing that was different was the product type and my lack of budget. I’ve learned a lot about myself and the magazine business in the two years that I’ve run Thoughtfully. It’s a wild a gritty ride! How do you hope the magazine will affect the lives of its readers? I truly look at myself as a conduit with Thoughtfully Mag. My hope is that whoever reads its pages is inspired with a greater sense of wellness and self-love that permeates out to others and the planet. I want Thoughtfully to be a catalyst for more people being the best versions of themselves with intention and living passionately, beautifully and thoughtfully every day. It’s obvious that a whole lot of love is infused in every issue. What is your favorite part about working on the magazine and creating the contents? Everything. I love curating the ideas and people that will be a part of it each issue. I love the layout process and how it all comes together. I love creating and putting the pieces together to tell the big picture story, and even the customer service, sales and packaging aspects. I’m so entrenched in the process from start to finish with love and it’s a wonderful feeling to know that comes through. It seems that beauty and wellness are more connected than ever. What makes you most excited about these industries and the direction they are going? They really are! Beauty, particularly indie beauty, is really helping to make an industry and mindset shift. I get excited because learning about the toxins in our personal care and cosmetic ingredients was my entry point into wellness so it’s been really amazing to see the two connect even more. Being able to give light to the individuals that are creating their products with love over profit, as opposed to solely for the money, is an incredible privilege for me and one that I saw missing in a lot of magazines on the newsstands. We see beauty hand in hand with wellness here at Thoughtfully. What does your personal beauty routine look like? Do you have any “deserted island” beauty products that you can’t live without? It’s much more simplified and very experiential and seasonal for me. I’ve been using non-toxic beauty products for 15 years now and I’ve become such a student and so aware of my skin. I’ve researched and tested so many products that I can actually smell the purity of a product and am keenly aware of how each ingredient nourishes me. Products like May Lindstrom The Clean Dirt, Josh Rosebrook Active Enzyme Exfoliator, Vintner’s Daughter Active Botanical Serum, Laurel Skincare’s set for oily/blemish prone skin and Detox Mask, One Love Organics Cleansing Oil are a few of my must-haves for my combination, highly acne prone skin. There’s so many other brands that I adore that it’s impossible to name them all. Nourishing my skin with loving ingredients like the products chosen for our Gratitude Box this month. I’m so excited that Indie Lee, Odacite and Pour le Monde Perfumes are a part of it. I also love my natural curls and when I discover new products that make my curls pop, I feel on cloud nine. Gratitude is so closely intertwined with the message of living thoughtfully, how do you practice both in your life? I remind myself of my many blessings and thank God for them each day. Whether that’s through prayer and meditation, journaling, deep breaths or words of thanksgiving (to myself or those around me), being mindfully aware of all that I have and am, as well as the intricacies in nature shapes my perspective. Gratitude unlocks the deepest levels of joy and contentment within ourselves, and allows us to see that what we have and who we are is more than enough. Being an entrepreneur is no easy path, how do you manage to stay balanced through all the twists and turns? Having a good support system and being clear on why you’re doing what you’re doing is key. I am very intentional about who and what I let into my life. With an amazing husband of 10 years, wonderful friends that have enabled me to have healthy life-giving relationships over the years, a personal relationship with Jesus Christ, mentors, yoga, realizing the power of “no” and learning how to remain comfortable in the uncomfortable, I have managed to stay balanced through all the twists and turns. If you could give one piece of advice to fellow female entrepreneurs what would it be? Get comfortable with being uncomfortable, there’s a solution for every problem you face, trust that you have the strength to overcome and surround yourself with people and thoughts that will lift you up and propel you to your highest potential. Also, be very mindful of what you speak over your current and future situations. I’ve got quite a lot of advice for female entrepreneurs but I’ll start there. And finally – you’ve accomplished so much with Thoughtfully Mag in such a short period of time! We’re dying to know what’s up next for you and this quickly growing publication? We’re widening our distribution this year and I’m taking a step back to grow our team and strategy since everything has happened so fast with the opportunities that were presented to me. I made the decision to just go with them and figure it out along the way. I’m getting even more thoughtful in what’s to come and really looking forward to our collaborations this year. 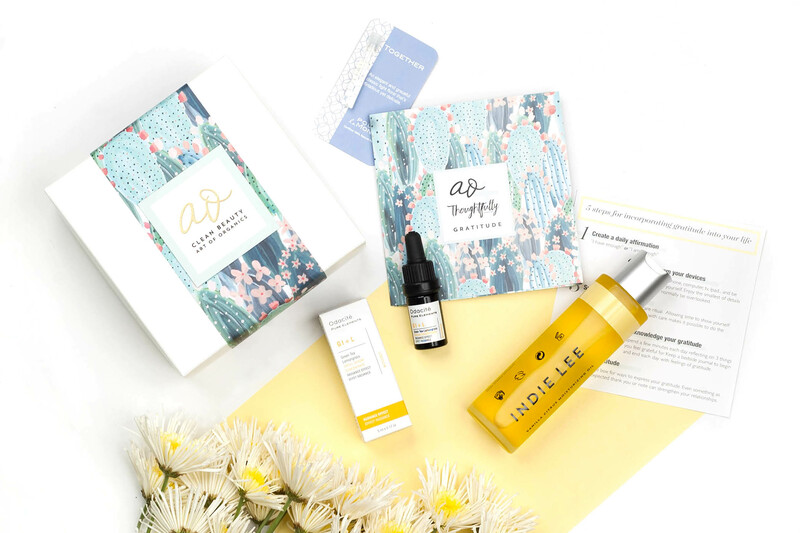 This month we had the pleasure of collaborating with Brandie and Thoughtfully to create The Clean Beauty Box, GRATITUDE. A collection curated with the intention to use mindful self-care as catalyst to cultivate daily gratitude. Check it out HERE.